Freshly roasted, salted pumpkin seeds. The healthy snack! Pumpkin seeds contain a wide variety of nutrients ranging from zinc, magnesium and manganese to copper, and protein. This is our most popular jerky! No sugar, old Fashioned style beef jerky. Salt and Pepper with a smokey flavor. Like a steak on a wood smoked BBQ! Our Sweet and Hot Beef Jerky flavor is a taste bud pleaser! A sweet, tender jerky with a great combination of spices. This jerky is not hot like you would think from the name but it is an amazing flavor! This Honey is Fresh, Local and 100% Natural. This honey is sweet & thick! It's very good as a spread on bisquits or toast! Fresh Turkey Jerky - hot Flavor (4 oz.) The best combination: low fat turkey meat with the peppered flavor. Ingredients: turkey,cayene pepper,soy sauce,water,wheat,soybeans and salt,wine vinegar,onion powder,brown sugar honey,garlic and spices. If you like the sweet stuff, this is what you need! This jerky is sweet with a black pepper kick! 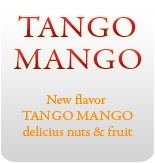 Delicious, mouth watering and sticky, this is one of our most popular flavors. Similar to the cowboy but without the black pepper. Just that old fashioned smokey, salty flavor! Fresh Tuna Jerky (4 oz.) Our Tuna Jerky is made from 100% tuna fish meat so you get all the benefits of the low fat, high protein fish meat in a great tasting jerky snack! Our carne asada flavor is unique in that it combines our great tasting beef jerky with a mix of herbs and spices giving it a touch of heat. Then we top it off with a little lemon, balancing it out just right! Fresh Teriyaki Beef Jerky Flavor (4 oz.) The best combination: low fat turkey meat with the Teriyaki flavor. Ingredients: turkey teriyaki sauce(soy sauce,water,wheat, soybeans and salt),wine vinegar, onion powder,brown sugar honey, garlic and spices. Beef Jerky Combination of 3 bags !!! Choose from any of our jerky flavors and put your choices in the comments box at the end of your order or email us at: danielsbestjerky@hotmail.com ONLY $25.00 Great deal..!!!!! The Irresistible Butter Toffee Peanuts!! A great sweet n salty snack! Sicilian Style Garlic and Jalapeno Stuffed Olives. One of the greatest tasting beef jerkys this side of the milky way!! Fresh, tender strips of BBQ flavored beef jerky! Fresh Turkey Jerky (4 OZ) A great combination! Low fat turkey meat w ith a Teriyaki flavor.